Chop the fruit into small pieces. Blenderise it with milk and honey. Chill. 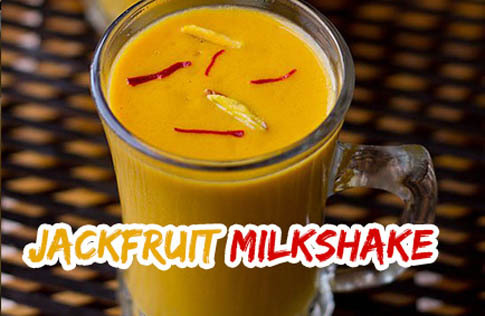 Put a couple of drops of honey and cardamum powder on top and serve.Alternatively, you can reduce the milk quantity by half and substitute it with skimmed curd and make a jackfruit smoothie.